MacIntyre "Mac" Larsen bonked his 1st Coho on Saturday, September 17th. His 5th Birthday!! Mac was using a White Lightening Coho Killer in deep water off the shipwreck! 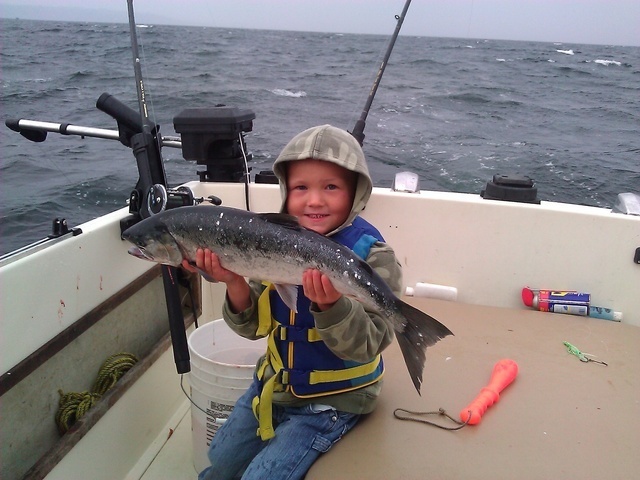 Mac is currently in 2nd place on the Kid's Coho Board! Happy Birthday Mac! !